We can’t deny that a big cost to many workplaces across the country are the number of injuries — this can impact productivity and even in some cases, attendance. In 2016/17, there were 137 workers killed due to a work-related accident. In 2015/16, there were also over 0.6 million workers who suffered from a non-fatal work injury which led to over 4.5 million working days lost, according to self-reports from the Labour Force Survey. It is also worth noting that in 2016/17, there were 92 members of the public killed due to work-related activities. Reports dating back from 2014/15 discovered that the cost of workplace injuries were in their billions — with some suggesting a total of £4.8bn! However, employers were required to pay £2.8bn! However, a focus on health and safety shouldn’t be solely down to the cost. As an employer, your staff’s safety should be at the forefront of your mind. Fatal injuries appear in more industries than others though — records from 2016/17 suggest that there were 30 deaths in construction, 27 in agriculture and 19 in manufacturing. These industries in particular often require certain safety equipment to abide by health and safety regulations – and wearing the equipment could separate your employees from a near death experience and a non-fatal injury. When looking at the construction industry, where the death rate appeared to be the highest, one common piece of equipment that should be worn is a hard helmet. If your staff fail to wear the required hard hat, any of those injuries could be a direct cause of not wearing the correct safety equipment. Protective glasses should also be worn by employees that are exposed to debris, dust and bright lights that could damage the employee’s sight. 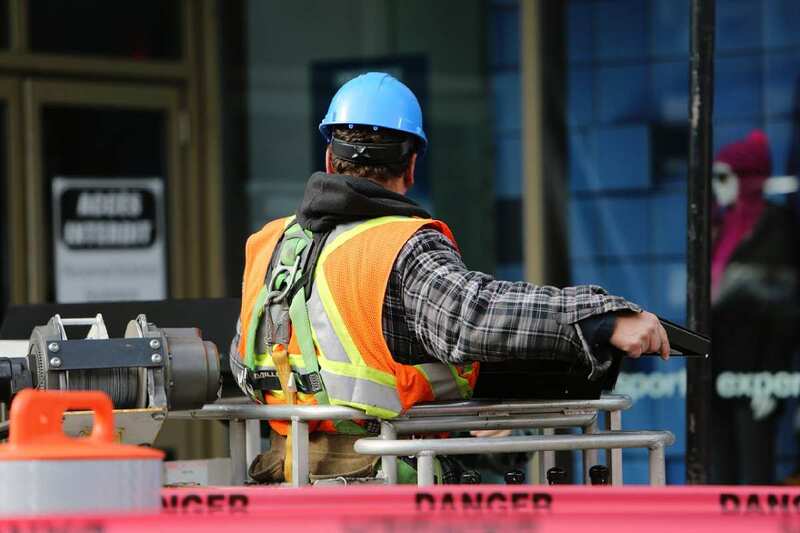 Implementing a work policy that says your staff are required to wear safety clothing and equipment is the first step to preventing workplace injuries that could lead to fatal deaths or long-term work absences, which cost your company money. Everyone needs training to some extent when it comes to carrying out the job. Every employee should be briefed on the safest fire exits around the premises, as well as what the procedure is in case of an emergency. In fact, many premises are permitted to carry out practice fire drills to ensure all members of staff are aware of the routine. But, depending on the role, training can become more technical than you think. In the manufacturing industry, which is the third most dangerous environment for fatal injuries in the workplace, some job roles require particular training and qualifications to use machinery. Where hazardous or dangerous machinery is involved, staff must be trained on how to use it – and must use the correct safety equipment and clothing at all times. 152,000 of the 621,000 non-fatal injuries in 2015/16 led to over 7 days of work absence – providing your staff with the appropriate training could save you a big cost seen through a loss of working hours due to workplace injuries. Most businesses will ask for certain certifications when people apply for a job. For example, in the construction industry, any employee who will be navigating a crane will require a Construction Plant Competency Scheme (CPCS) licence. Did you know that out of 621,000 workplace injuries, 19% of them are from slips or trips? The main causes of slips, trips and falls in the workplace are uneven floor surfaces, unsuitable floor coverings, wet floors, changes in levels, trailing cables and poor lighting – all of which can be prevented or marked out safely if the proper regulations are followed. Legally, businesses must follow The Workplace (Health, Safety and Welfare) Regulations 1992, which stipulates that employers must ensure that floor spaces are in good condition and free from obstructions. Health and Safety Regulations 1996 are crucial to understand when it comes to owning a business. This can help businesses feel more confident with knowing the right actions they need to take when risk factors are present. No more accidents at work!